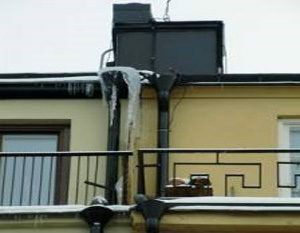 To have the heating cable on the roof is a good solution. For example: The snow turns into ice and causes frost damage in the property. Or forming icicles that could fall and cause much worse damage. 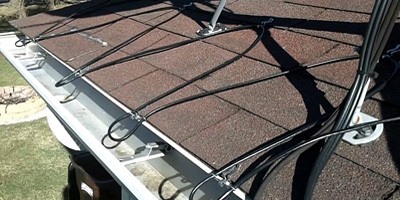 With a heating cable in gutters and downspouts, snow melts away before it causes problems. When installing snow fences combined with heat cable in in the roof foot gutter and downpipes, you will have virtually shoveling snow. The heating cable successively takes care of the snow that lies beneath snow guards without forming icicles. The snow that remains will not fall down and you have significantly reduced the risk for pedestrians and damages below.